important events hosted in Dartmouth. In May 2017, a new Council was elected and a number of new Councillors took up their role. All Councillors recognise the concerns and anxieties of many people in Dartmouth – supporting the economy through these difficult times, building a community, and managing the environment. Alongside the process of developing and publicising priorities, your Council is constantly reviewing its procedures and the ways of working to ensure that they are efficient, effective, and are capable of supporting the practical implementation of its work. Key reference documents arising, including the Standing Orders, the Financial Regulations and a new Strategic Plan will be available on the Council Website. 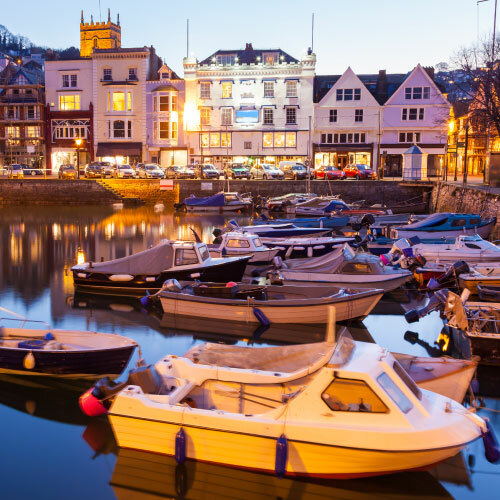 There are several important charitable and independent organisations and small groups of individuals based in Dartmouth, all which have a vital role to play in supporting the Town now and into the future. All these organisations, whether formally constituted or not, are run independently, and the Council has no formal powers of influence or control in their affairs. Several are registered charities, in which case they will have their own Boards of Trustees and Charitable Objects with which they have a legal obligation to comply. Some are limited companies each of which have their own Memorandum and Articles of Association. The Council is very keen to develop closer links with local organisations to build a long-term vision for Dartmouth, to support local organisations in their work, and to help ensure that expertise and resources are used efficiently and effectively for the benefit of the town. The Council supports local organisations in many ways – through nominating Councillors to sit on committees, attending meetings, helping to raise the profile of issues with other decision makers, or agreeing to contribute funding or other types of support to joint activities. The Council employs a team of nine staff, three of whom are full-time. The Clerk reports directly to the Mayor of Dartmouth and is responsible for ensuring the proper conduct of Council business, taking forward decisions taken by the Council and its sub-committees into actions, and managing the other staff employed by the Council. Staff also undertake work for other Councillors where their support is needed to take forward Council business. The Mayor meets with the Clerk several times a week to discuss progress and to identify priority actions as needed. The work of the Council includes supervision of the market square on market days, the running of the Guildhall and overseeing the other Council properties. Staff also deal with varied enquiries from the public – in person, by email and by letter. Some of these enquiries can be complex and time-consuming. Staff aim to answer queries within 7-10 working days, but there will be times when the workload of staff is too high for this target to be met. The Council takes its employment responsibilities seriously. The Personnel Committee ensures that as an employer, the Council is legally compliant and has appropriate policies and procedures in place to recruit, develop, and assess the performance of its employees.The sub-committee also makes recommendations on staff pay to the full Council, seeking to ensure parity with other Councils of similar size and with responsibilities. As with all employers, data about individual staff is confidential to the Council. Properties in the Council’s portfolio of ownership and responsibility are dealt with through the Corporate Property Committee. One immediate concern is the condition of the Guildhall. There have also been questions raised by both Councillors and the public about its future role, maintenance issues, priority uses and charges. The Corporate Property Committee have been asked to consider these matters and have provided a report to the full Council and works are beginning on the refurbishment of the Guildhall. Members of the public occasionally ask why business is conducted in a particular way, or why certain committees are in existence. To respond to these points, there are three important source documents which currently underpin the work of the Council. The first is the Local Government Act (1972), the second is the Standing Orders which govern the work of the Council and the conduct of meetings, the third is the Financial Regulations which cover how contracts are awarded. The second and third of these are available to members of the public in paper form. Agendas and approved minutes for both full Council meetings and sub-committees are placed on our Website. The Standing Orders of the Council cover a number of important matters, including the procedures adopted during Council meetings, the selection of the Mayor and Deputy Mayor, Council committees and sub-committees, how Council decisions are made, and public access to both meetings and key documents. Minutes are taken of all formal meetings and subcommittees. Orders are checked and verified by the Devon Association of Local Councils. The Financial Regulations of the Council cover how contracts are awarded and what paperwork and procedures need to be in place to comply with the Regulations. At least two written quotations must be obtained for planned expenditure in excess of £1,000, and specific arrangements cover large contracts in excess of £10,000. These regulations are reviewed regularly by the Finance Committee and any proposed changes are brought to the full Council for approval. The Council’s budget for the period which runs from 1 April for 12 months is discussed and agreed in the previous Autumn. Councillors are mindful of the need for economy and efficiency in implementing plans and priorities. Sometimes this means taking difficult decisions (for example, restricting opening hours of the Guildhall over the Christmas period in response to low demand in previous years) and limiting the financial support and help it is able to give to other organisations or Town initiatives. Where appropriate, increasing amounts of work are undertaken by email, and all Councillors bear the use of home computing, stationery, email and telephone costs themselves. This helps keep the costs of running Council business down. The exception is the Mayor, who in common with other Town Mayors, receives a personal allowance, of £1,850, as a contribution to expenses. These expenses may include simple hospitality for visitors, official travel, and the costs of attending civic events. The present Mayor expects such expenses to exceed this figure, but the sum available, as a contribution from the Council’s funds will remain the same. The Council has adopted a new Code of Conduct in line with that adopted by South Hams District Council. The Code requires Councillors to abide by key principles at all times. These principles govern personal behaviour and respect for others (which covers issues of equality and bullying), confidentiality, and the disclosure of personal and professional interests. If any member of the public has any concerns about the conduct of a Councillor under this Code, then they should discuss their concerns directly with the Mayor. Each Councillor completes a Register of Interests (as required under the new Code). The Register requires Councillors to declare membership of relevant bodies, their employment, any payments made towards Council expenses (and by whom), any interests in contracts with the Council (whether direct or indirect), local landholdings, and any beneficial interests/securities in companies or societies active in the Dartmouth area. The Register is regularly updated, and completion of the Register is rigorously enforced. They are all available to view online through the South Hams District Council website. One important route to communicating information efficiently and effectively is through the Council website. The website is updated regularly and is a valuable source of information for all. However, the Council recognises that some people in Dartmouth do not have computers or would prefer information in written form. Until it is clear that this position has changed, information will continue to be published in electronic and paper formats. The Mayor and Councillors take genuine comments and concerns raised by the public very seriously, and in almost all cases questions are raised politely and courteously. The Council does not respond to any questions or comments raised which are of a personal nature, which are anonymous or which are abusive or offensive to Councillors or staff. The best way to discuss any ideas for Dartmouth, or to raise issue of concern is to speak to one of your Ward Councillors or to the Mayor. Details of Ward Councillors are here on the Council website. Should a member of the public wish to contact the Mayor on any issue, then please telephone or write to the Council Offices, details of which are given here on this website. In addition, there is a slot of 15 minutes at each full Council meeting when any member of the public may ask a question of the Mayor.